. إن Amaroo Motel حريص على توفير الراحة للنزلاء، فلا يوفر الموظفون جهداً في تقديم أفضل الخدمات وضمان حسن الاستقبال. يمكن الاستمتاع بمجموعة من الخدمات على أعلى المستويات في الفندق كمثل خدمة التنظيف يوميًا, خدمة غسيل ذاتية, تسجيل وصول/خروج سريع, تخزين الأمتعة, صف السيارات. تنعكس أجواء Amaroo Motel في غرف الضيوف.شاي مجاني, مناشف, سجاد, قهوة فورية مجانية, تلفزيون بشاشة مسطحة هي بعض الميزات الموجود في العديد من الغرف. كما أن مجموعة الخدمات الواسعة الموجودة في الفندق لضمان راحتك تترك لك الكثير من الخيارات لقضاء وقتك أثناء فترة إقامتك. اكتشف مزيجاً ساحراً من الخدمة الاحترافية والخيارات الواسعة من وسائل الراحة والمتعة في Amaroo Motel. Clean accommodation. A few eating places within walking distance. Must try the Italian food - first class food and very friendly staff. Kmart nearby and opens till 9pm. Managed to buy good and cheap windbreaker for AUD10 though priced at AUD20. Easy to get to the jetty and visitors centre nearby there too . Make the visitors centre ur first stop when u arrive. They give very useful tips abt how best to spend ur time while I'm Busselton. Goto the underwater observatory + train ride along jetty. We also found time on the same day to cover Ngilgi Cave and Cape Naturalists lighthouse. Very interesting places and we also manage to spot a while viewing top of the lighthouse. We can in early spring 10-17 Sep so it was still cold.and windy. Be prepared. Close to everything with a few eateries within 100m. The staff are friendly and the place is a lot cleaner than expected. The jetty isnt too far off as you have to walk through the main street in town but it's a nice walk. 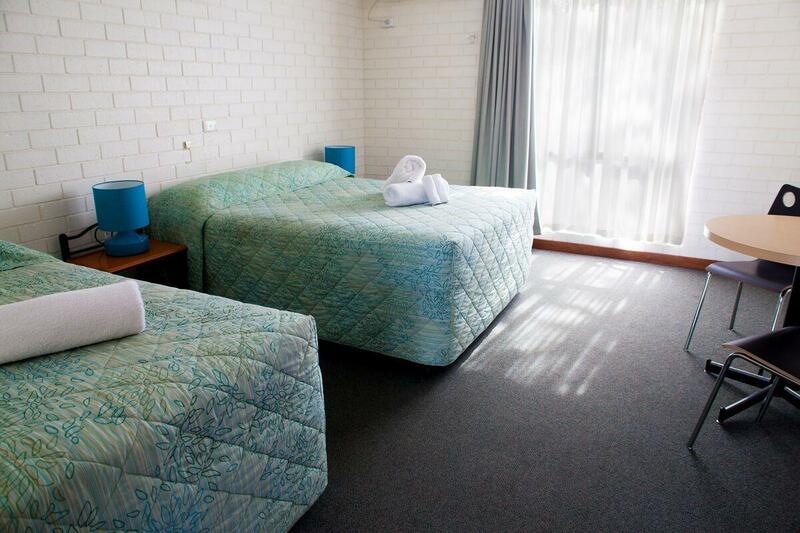 Within reasonable walking distance to the bus terminal, as well as most of the shops, food and attractions of Busselton . Room I had booked was one of the well used older ones, but worked well for my purposes (Half Marathon). Nice beds, fluffy towels, shower/toilet facilities were fine. Friendly and helpful staff. Would I book again? Sure. One important thing to point out; its called the BUSSELTON MOTEL on the branding and property, NOT Amaroo Motel at the time of writing this (11th Feb 2018). Reception staff has totally overlooked our requests for all the units to be next to each other and at the back portion which is quieter, instead allocated for us 2 units at the back portion and 2 units at the front roll which is just next to the main road, furthermore the units were not next to each other, even when we asked to rearrange but was informed there was nothing she could do as the motel was fully booked. Luckily when we returned to the reception again, we met Derrick who had tried to reallocate our units to be 3 units upstairs and 1 unit downstairs at close proximity. 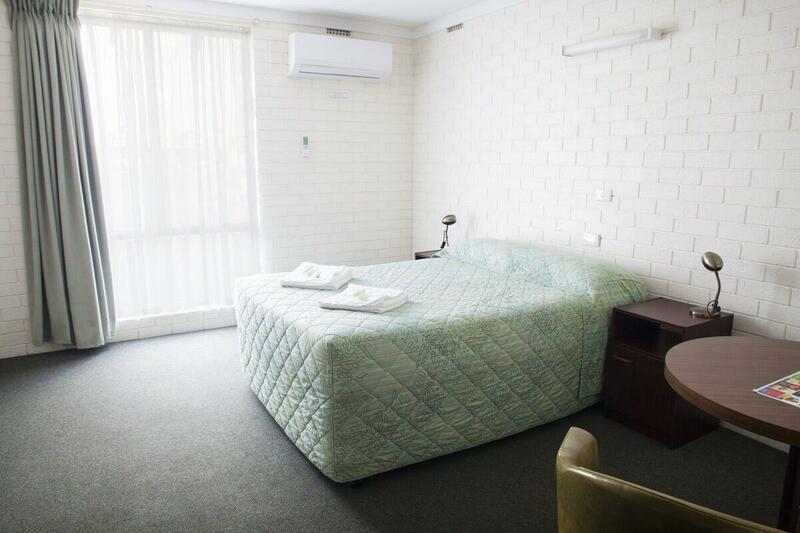 This motel is double storey walk up unit, whoever travel with elderly must make sure you request for downstairs unit. Other than the above, we were quite satisfied with the units, cleanliness are okay. Lots of restaurants close by and also a supermarket (not a big one) about 5 mins drive. I stayed in Room 3 which was clean, tidy and right in front of the main road but it was not a problem as the traffic slowed down at night. This is a good budget option as there is ample car park - I can park my car right in front of my room, good room size and clean bathroom. This property is also very close to several, shops, coffee places and eateries. 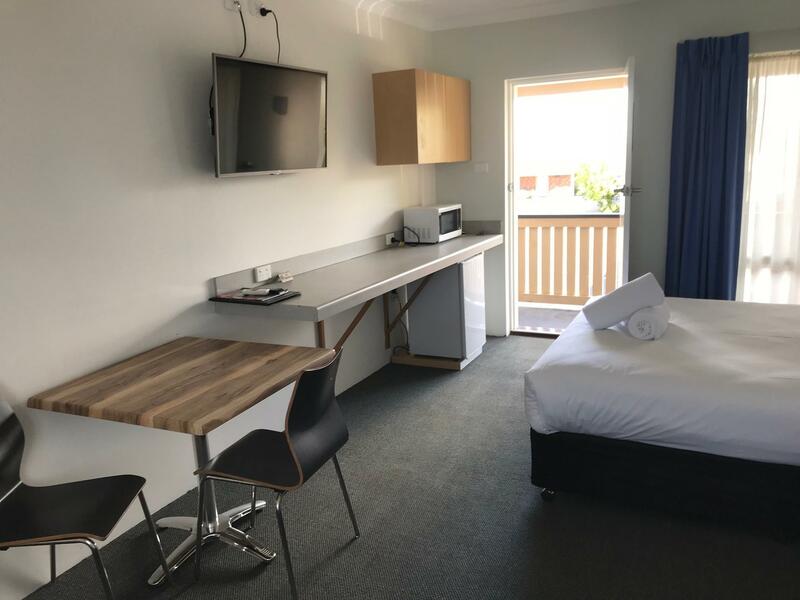 It's a 10-minute walk from this motel to the Busselton Jetty and the town centre with more shops, restaurants and bars to choose from. The management is very friendly and helpful. I would definitely stay here again. Clean room, clean bathroom & near to local attractions such as natural produce products (dairy, chocolates, cereals & etc..), nature parks & beaches. 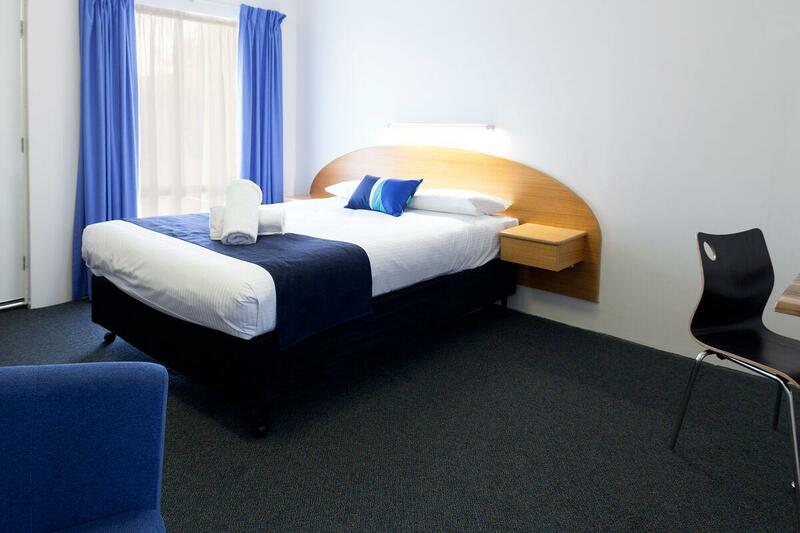 Good, comfortable & relaxing stay with helpful and attentive personnel which compliments the stay. The hotel was also near to varieties of local restaurants and you will spoiled by the choices available. Thehotel is also near to local attractions such as nsture produce product such as dàiries, chocolates, cereals, dried fruits and silk. There abundant of nature parks & caves for us to explore. The room was big. We have a total of 7 adults. We manage to squeeze into 2 large bed rooms. The hotel staffs are very friendly and helpful. The lady at the reception even help us to confirm the power supply condition ( power supply has fail due to storm)for our next hotel. The location is very good for this motel, it's very convenience and walking distance to many restaurants, grocery and beach. Can't expect much on a motel's facilities, anyway that's pretty easy for check-in and check-out process, cleanliness of the room is acceptable. Our second time here. The staff are extra friendly and makes checking in during or after hours simple and easy. 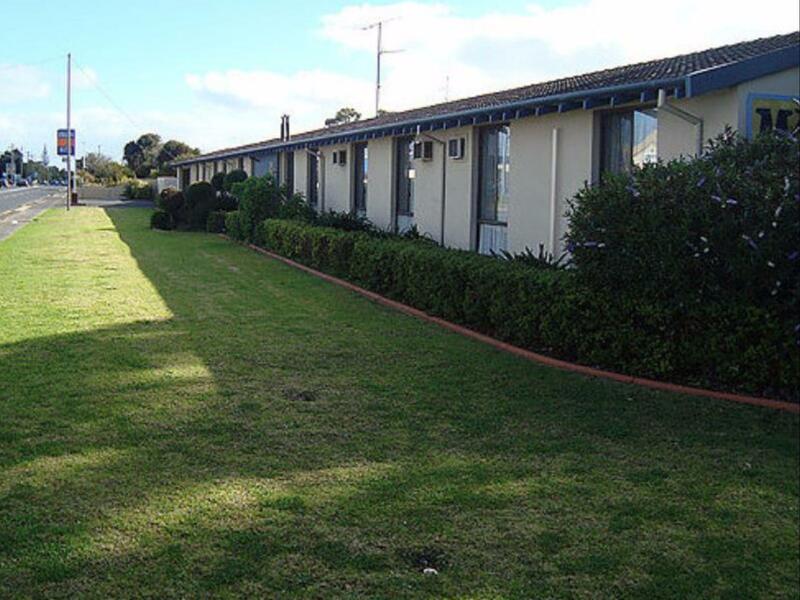 The location is spot on right in the middle of the town and close to busselton jetty. Facilities in the room are good and are mostly the essentials. Heaps of parking on site and easily accessible rooms. Have no cons about this place. Simple but nice. This is the second time my family has stayed at this motel, now know as Busselton Motel. They are doing a great job with the renovations. We were lucky enough to have one of the completed rooms. The beds were wonderful, we had a great night sleep. They also did a great job cleaning the room. Will definitely stay again. Very good location, close to the things I wanted to go to. When we were eating dinner in the bbq place suddenly sprinkler had operated! There was no sign for it so we were totally wet. But it was fun!